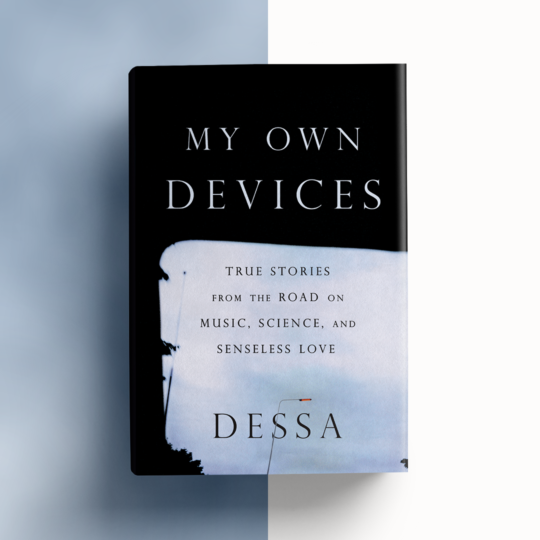 On September 18th, My Own Devices, Dessa’s first hardcover collection, was published by Dutton Books (Penguin Random House). 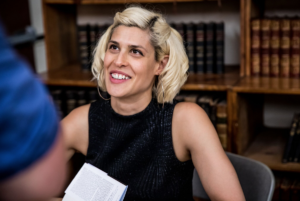 As compelling on paper as she is on stage, Dessa stitches together poignant insights on loyalty, romance, science, and language–a demonstration of just how far the mind can travel while the body is on a six-hour ride to the next gig. In “The Fool That Bets Against Me,” Dessa writes to Geico to request a commercial insurance policy for the broken heart that’s helped her write so many sad songs. “A Ringing in the Ears” tells the story of her father building a wooden airplane in their backyard garage. In “Congratulations,” she describes the challenge of recording a song for The Hamilton Mixtape in a Minneapolis basement, straining for a high note and hoping for a break. “Call off Your Ghost” chronicles the fascinating project she undertook with a team of neuroscientists to try and clinically excise romantic feelings for an old flame. Her writing is infused with scientific research, dry wit, a philosophical perspective, and an abiding tenderness for the people she tours with and the people she leaves behind to be on the road. My Own Devices is an uncompromising and candid account of a life in motion, in music, and in love.